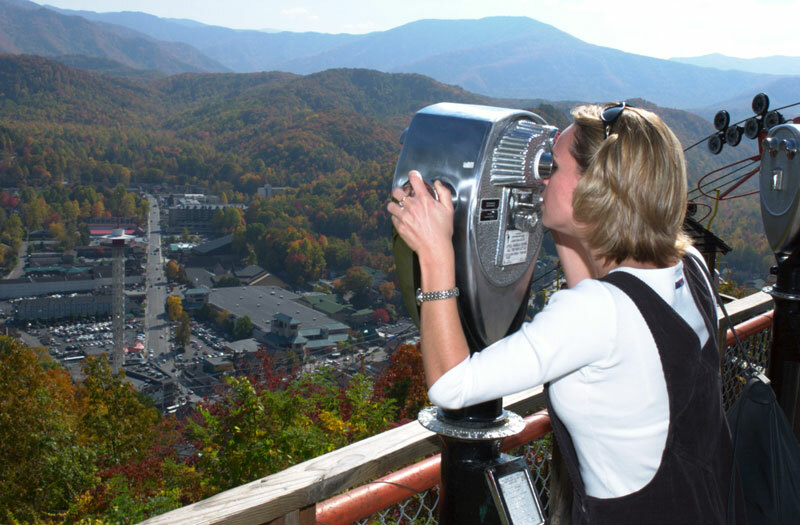 If you’re looking for breathtaking, panoramic views of Gatlinburg, TN and the surrounding Smoky Mountains, opt for the Gatlinburg Sky Lift. 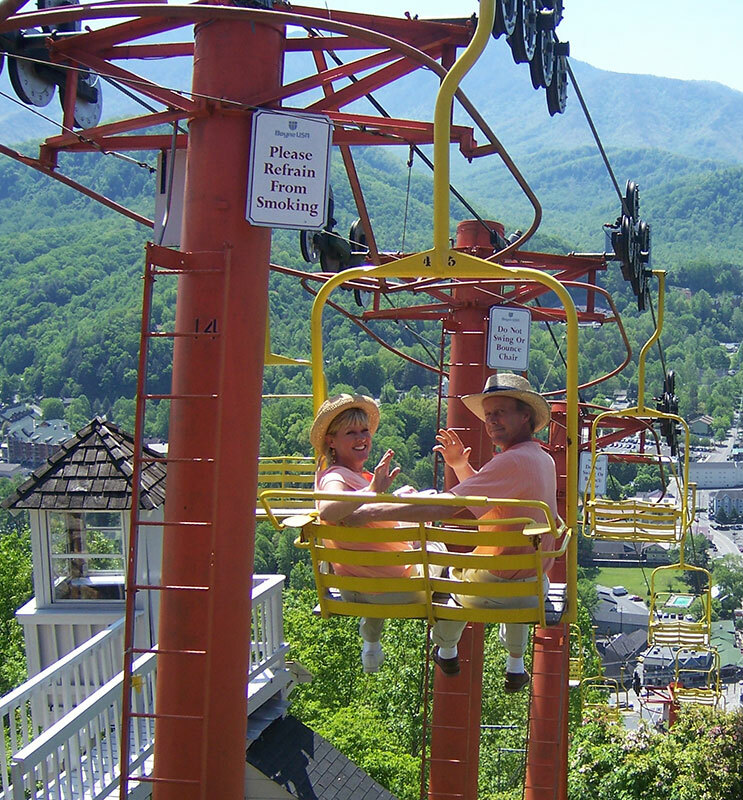 One of the most popular attractions in Gatlinburg, the Sky Lift offers an uplifted excursion for the whole family. The Sky Lift takes passengers 1,800 feet high atop Crockett Mountain, which many people call Gatlinburg’s #1 scenic overlook. From the ride up and the top you can see downtown Gatlinburg’s attractions – maybe you can even see your cabin! Snap photos to your heart’s content – the Sky Lift’s relaxing pace is camera-friendly and great way to see everything in a bird’s-eye view. The Sky Lift experience is similar to a chairlift at a ski resort, except that it’s suitable for all ages, and there is no weight limit. Friendly staff allow up to two adults or one adult and two children per seating. The ride to the top of Crockett Mountain takes about 10 minutes. 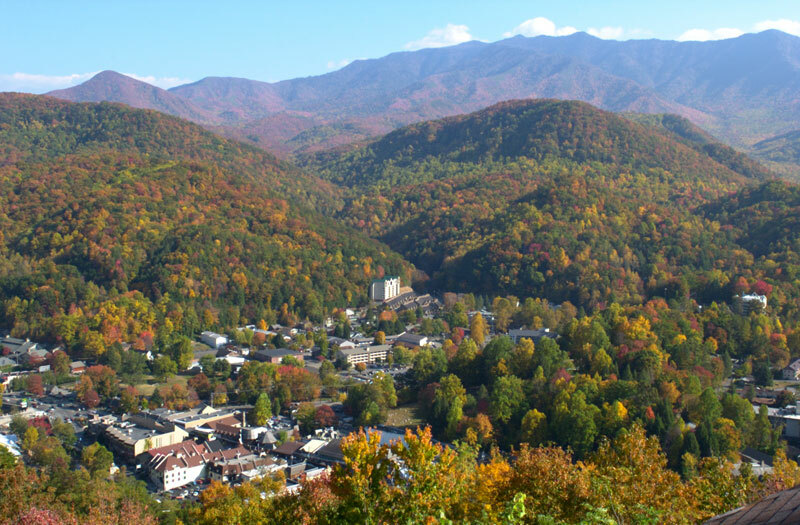 During the ascent, you’re more than 500 feet above ground, viewing spectacular views of downtown Gatlinburg, the Mysterious Mansion, Bear Run, and the surrounding Smoky Mountains. Get ready for your close up – the Sky Lift features a passenger photo opportunity at the top with you on the chair lift. See if you can make it to the, often hilarious, “best of” Sky Lift snaps. Sky Lift assistants at the top are friendly, courteous and will help you dismount the chair lift once you’ve arrived. Feel free to snap as many photos of the surrounding landscape as you want from one of several scenic-vista points, and take advantage of the telescopes. Frozen drinks, snacks, ice cream and souvenirs including your photo are also available at the Sky Lift’s gift shop. Save some room on your camera’s memory card for the ride down from the top of Crockett Mountain. 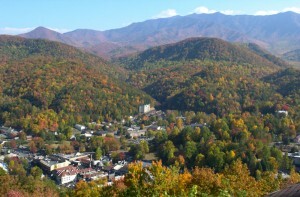 Favored by photographers, it offers spectacular views of the forests and mountaintops all the way back to Gatlinburg. For a few extra dollars, you can opt for an all-day pass, allowing you to ride up and see the sights any time of day. Twilight is among the most popular times to ride the Sky Lift – it makes a romantic evening jaunt for couple before or after dinner. And your kids will enjoy the later ride too, as Gatlinburg’s lights come on and the sun goes down. The Sky Lift is open every day, generally 9am-9pm, year round. It’s located at 765 Parkway, just across the street from Ripley’s Believe It or Not. For more information see the Gatlinburg Sky Lift website.